More on the RTA Frosted Glass Corner Computer Desk with Right Side Extension Table (White) CT-013RW below. 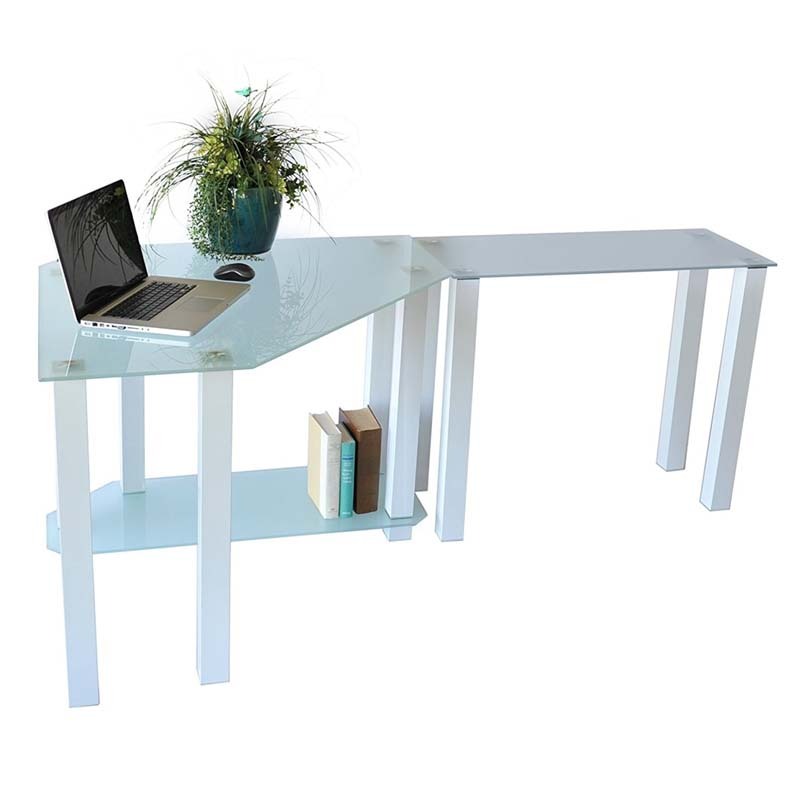 This modern looking frosted tempered glass corner computer desk with glossy white finish has everything you need. With its great design you can put this anywhere in your room to save space. With one side of this desk only needing 40 inches of wall space this desk can fit in those areas where you are trying to clear a door or window. And with the 35.5 inch modular extension table you have all the work space you will need. Whether you have 2 printers or a printer and a scanner there's plenty of room to make it all look great! Additional configurations available. See related products below.